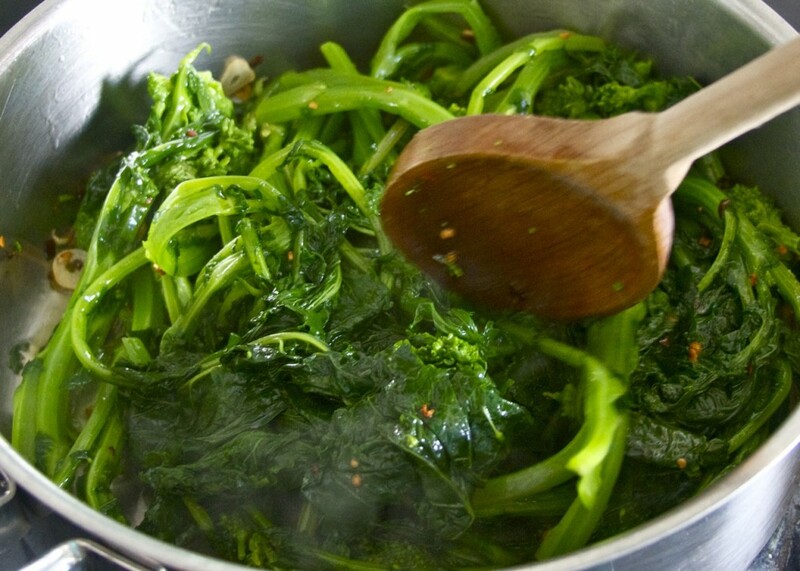 Broccoli Rabe sautéed in olive oil and garlic is my all time favorite vegetable side dish. It was not something I ate growing up in Texas. In fact, even though it is quite popular in Italy (known as rapini), I do not recall eating it when I lived and worked there either. It was not until I moved to the Northeast U.S. that I discovered the deliciousness that is broccoli rabe. At home my husband G and I sometimes fight over who gets more of this dish. (“I think you got more than I did!”) And our two boys are starting to enjoy broccoli rabe too which means there will either be more fighting or I will have to remember to make bigger batches in the future. Sautéed Broccoli Rabe with Garlic is a fairly common side dish offering at many Italian restaurants where I live (New York City ‘burbs). But the quality varies quite a bit. 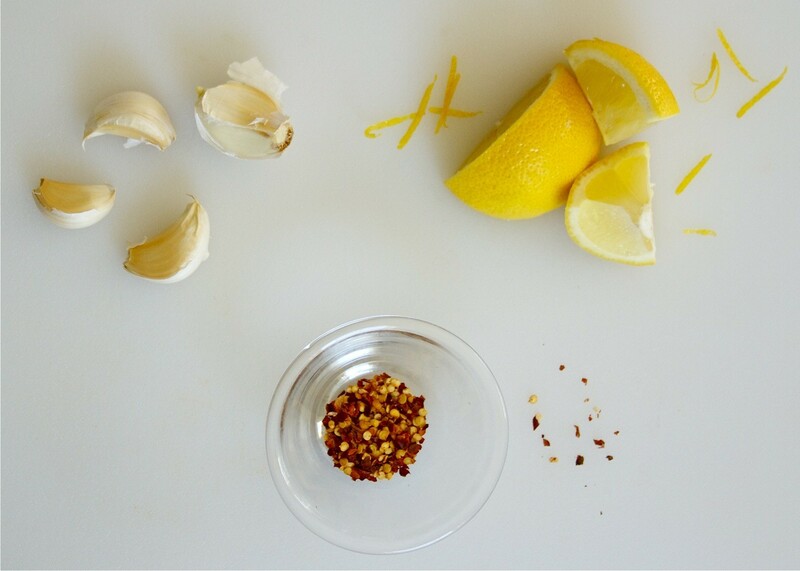 The following recipe, although quite simple, is the product of plenty of trial and error. Even though I happen to like bitter flavors, (dandelion greens, remember? 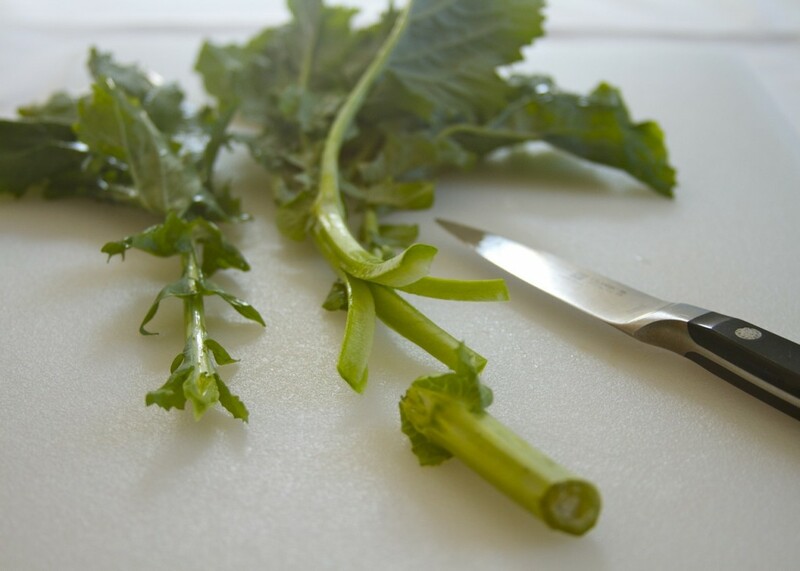 ), broccoli rabe is at its best when some of the bitterness is removed via a blanching process. The stems are also thick and they can be tough unless cooked for while. But, unfortunately, that can mean the rest of the broccoli rabe plant will be overcooked. I have come up with a technique that helps the broccoli rabe cook more evenly. One of the really nice things about this recipe is you can prep and blanch the broccoli rabe in advance and then complete the rest of the process right before you are ready to serve it. The red pepper flakes add a nice kick that I like quite a bit. But if you prefer a milder taste or have an auto-immune condition and do not eat nightshades (red pepper flakes come from peppers in the capsicum family) you may wish to skip it. The lemon juice accents the bitterness and gives a nice freshness to the finished dish. 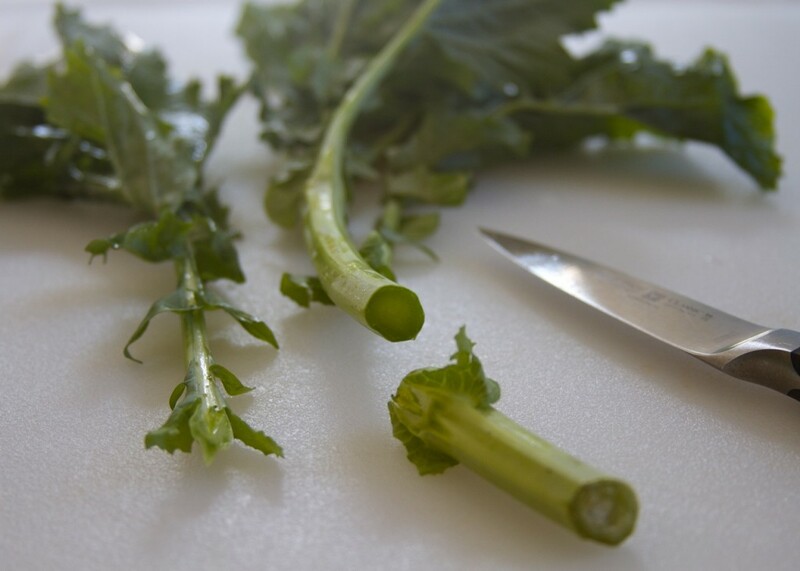 Rinse the broccoli rabe and trim the end of the stems (an inch or two of the thickest parts). Use a crosshatch technique by slicing the thickest stems lengthwise then making a quarter turn and slicing lengthwise again being careful not to detach from the rest of the plant. This helps the rapini cook more evenly. Fill a large stock pot with water and bring to a boil. Add salt to the water and then the broccoli rabe. Boil for three minutes. Drain the broccoli rabe and immediately submerge into an icebath to stop the cooking process. Heat a heavy duty saucepan on medium heat for a couple of minutes. 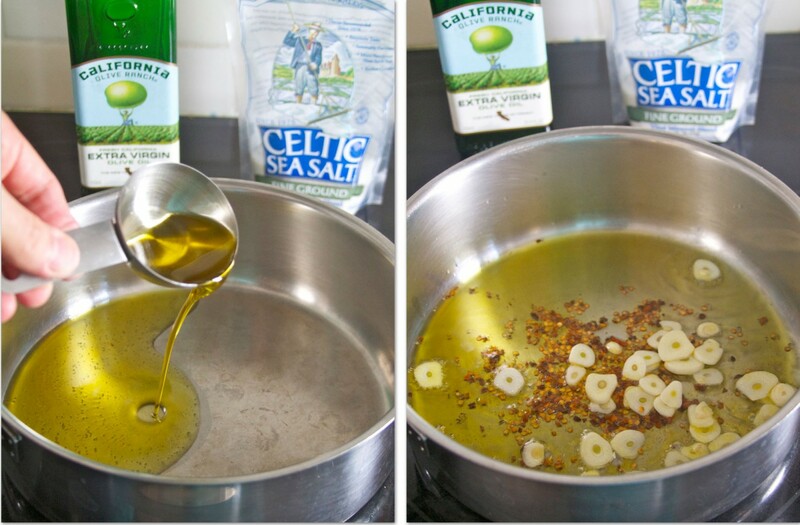 Add the extra virgin olive oil which will bubble slightly. 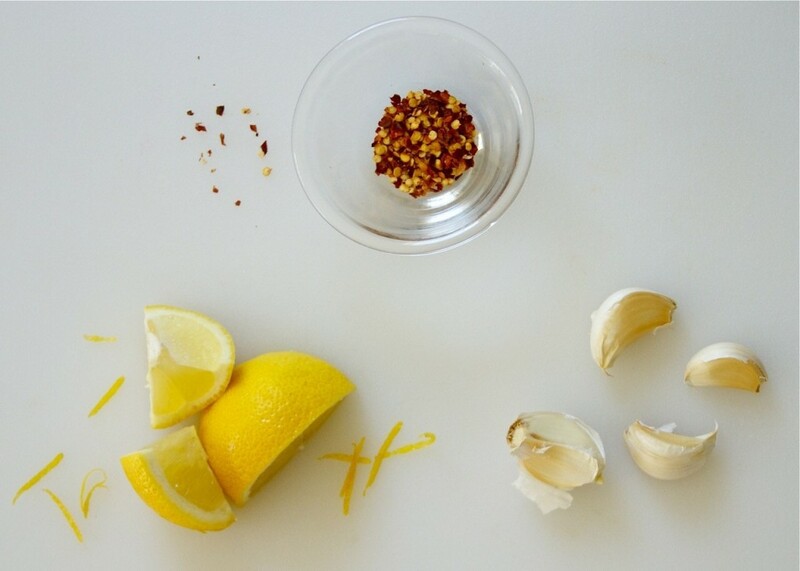 Immediately add the red pepper flakes and sliced garlic. Turn down the heat a bit and sauté for about one minute being careful not to burn the garlic. Add the blanched broccoli rabe to the pan and sauté for 3-5 minutes until heated through and fully covered in the oil, red pepper and garlic. At this point you may add some sea salt to taste. 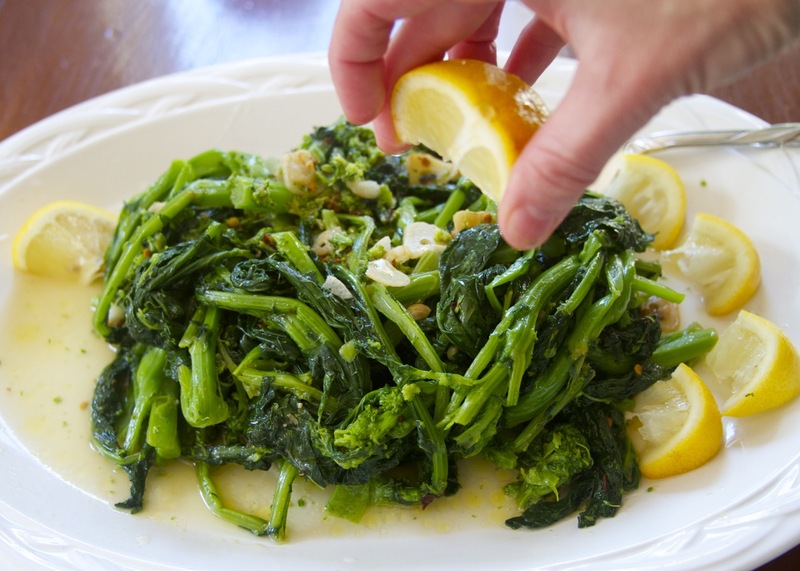 Pour the sautéed broccoli rabe with garlic and pepper onto a serving dish and squeeze fresh lemons on top. 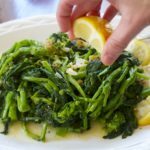 4 Responses to "Sauteed Broccoli Rabe with Garlic and Pepper"
Very nice recipe and the pictures are great as well. 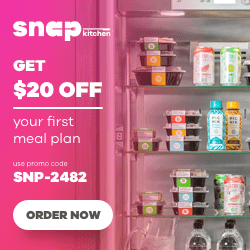 I have been looking for rapini recipe and I have come across your website. I am glad that I did! I am making your recipe today. I have seen some recipes where the rapini was sautéed first and then blanched but I think that doing it your way will make it go down smoothly because of the oil and it might be more tasty too. Did you try it the other way? 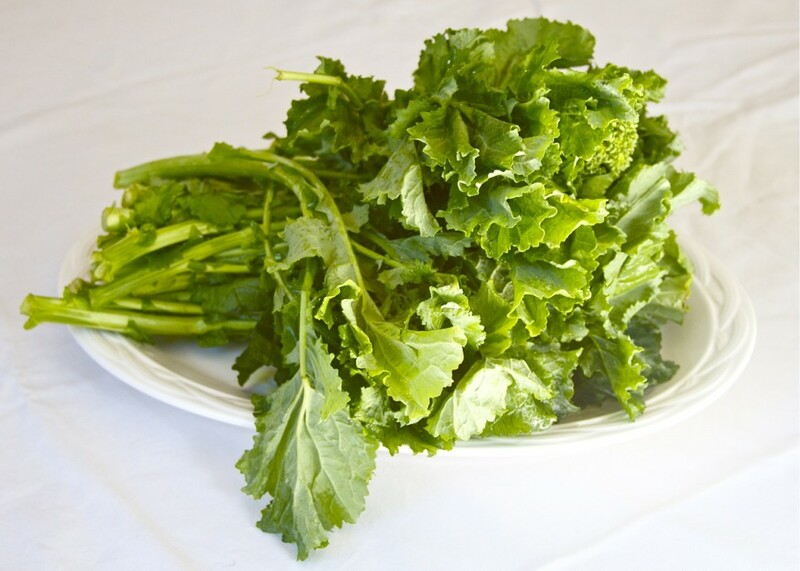 Question: What do you do with the water in which the rapini was blanched? I think that it might have some vitamins and minerals so maybe I could use it for broth/soup? I’ve never sauteed THEN blanched the rapini. 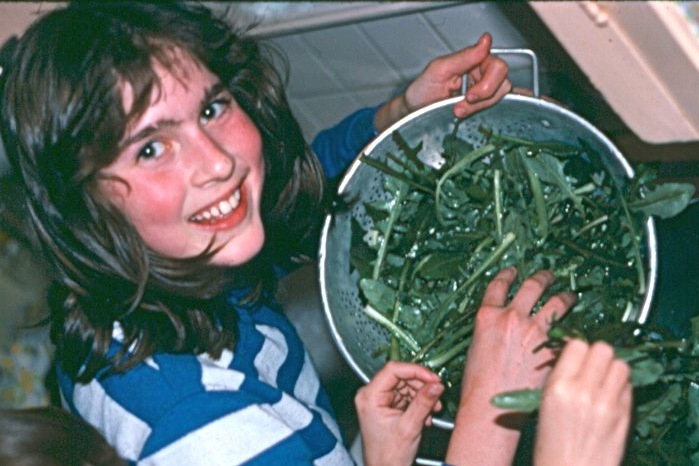 The main reason is that the blanching process is primarily a method for removing the strong bitter flavor of the rapini. You could potentially use the water for a soup base. I’m sure some nutrients are in there. But the water might be too bitter. It really depends on your tastes though. Good luck with the recipe. 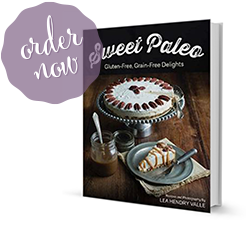 Looks like a light, clean, delicious recipe! I’m always looking for ways to new ways to cook vegetables and this fits the bill! Thanks for the share.